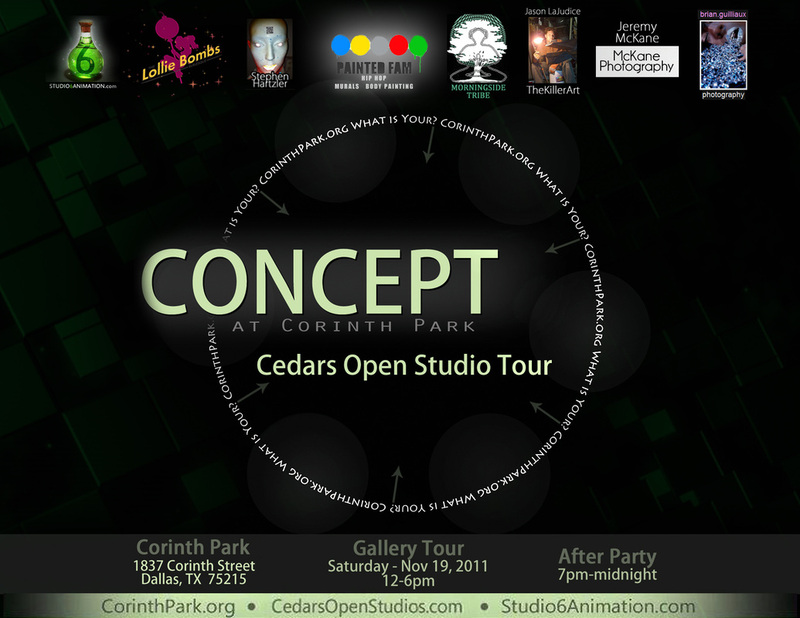 Corinth Park will be taking part in the 2011 Cedars Open Studio tour. Please stop by our location to check out the gallery showings, live paintings and photography booths during the gallery tour 12-6pm... and we'll have a great after party starting at 7pm for all who would like to attend... BYOB!! Our address is 1837 Corinth Street. See you there! Below is the showing we had at the 2010 Cedars Open Studio tour called "Art Crime Scene"
Currently, I'm on the periphery of the CorinthPark as an advisor to the project, but have been integral in the past in the execution of the annual art show as a part of the Cedars Open Studios. This is why I was particularly interested in the recent vandalizing events at the space. The conversation between the graffiti and the graffiti-ing of the graffiti is particularly fascinating. Conspirators lurch in every direction - from the the graffiti artists to the cops who fingerprinted the place to the intruder him (or her) self. Inherent questions about value and art and vandalism in all its forms abound. I certainly do not condone the vandal's actions and the destruction of property or art, but I appreciate the questions this series of events has caused us all to ask.